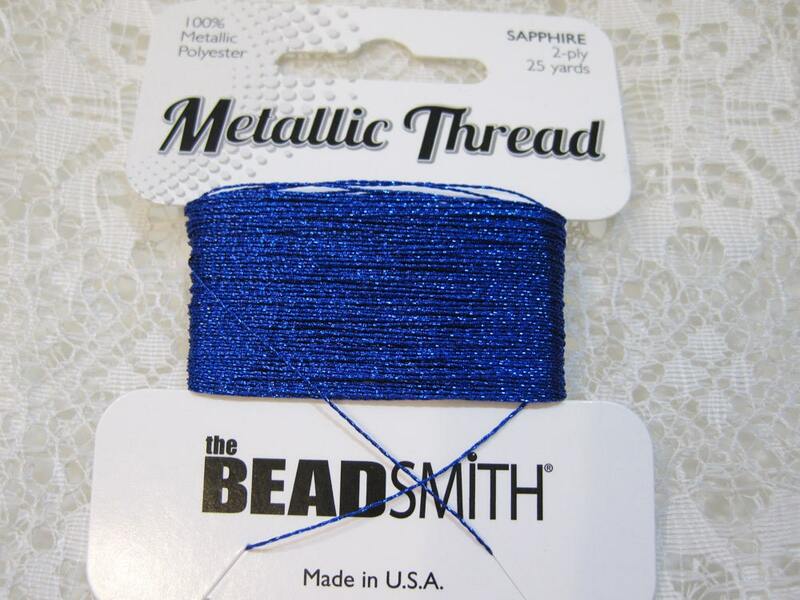 A really strong metallic thread with a polyester core in a beautiful sapphire blue. This 2-ply thread is ideal for use whenever the thread may show. Suitable for beading, bead knitting, bead crochet, macrame, kumihimo, knotting, quilting, tamari balls, weaving, cord making & surface embellishment. 25 yards, 100% metallic polyester. Love these beautiful metallic strings! Exactly what I was looking for and a quick ship. Thanks! All items I ordered came nicely packed and very satisfactory! !